Music & lyrics Markus Riva, Kaspars Ansons. Latvian pop-act Markus Riva collaborates with the fan engagement platform Fanvestory to share his exclusive content, merchandise and a part of his future royalty earnings with his biggest fans and supporters. Many artists are trying to find new ways to attract fans, but more importantly connect with them as streaming and digitalization has taken away one approach for artists to deeply engage with their biggest fans as they can just scroll through Spotify and find the next artist to listen to within 1 second. Exclusivity is disappearing and that is why Markus Riva has decided to take his fan engagement to the next level with Fanvestory. “I have been attracted to music since the age of three. I am mostly inspired by my friends and the surrounding environment, but of course also by some heartbreaks and rough times I have gone through. I am lucky to be pursuing my dream in playing, performing and creating songs. There is nothing else I’d rather do and I would not be able to do it without my fanbase. I have decided to work with Fanvestory to show gratitude to my coolest fans and share part of my future earnings with them,” says the Latvian pop singer Markus Riva. “We decided to work with Markus Riva, because there is no doubt he is a natural talent with big international fanbase and growth potential as he has fans from Russia, the Baltic States, Ukraine, Kazakhstan, Belarus and other countries. His creations includes many radio singles that have been #1 songs on the charts of iTunes and radio stations,” adds the CEO of Fanvestory Birgit Karus. 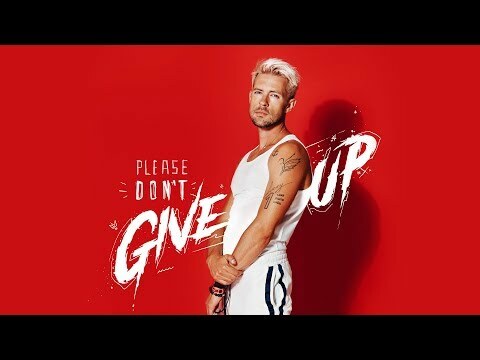 Markus Riva new single “Please don’t give up” , that is given out in collaboration with Fanvestory, was written in London but recorded in Riga with Kaspars Ansons - producer that stands behind previously released track “This Time”, also known as “Supernova 2018” entry. “The idea of the song came into my mind when I was in London last year. I woke up in the morning in Shoreditch district, took a shower, and I had this melody in my mind that I fixed with the guitar that was in a hotel room. I love that kind of moments when you give a birth to a song in those unexpected moments”, says Markus. You will hear a lot of “that kind of moments” in new music album by Markus Riva that is set to be released on 20th of September. It is going to be 5th album in Markus Riva’s career that consists of songs written and inspired by real life moments. The title of the new album is going to be "I CAN” because it symbolises the life of Markus Riva - “with this album I want to inspire people. The title song I wrote for my mother when she was struggling with cancer, unfortunately I lost her last year and it was a a hard time, but good to create and find myself again in music”. Fanvestory is a fan-engagement technology platform, which allows music fans to support artists and receive exclusive content, merchandise and a small percentage of future royalties from their favourite artists in return. So far, Fanvestory has worked with popular artists like Tommy Cash, Justs and Tanel Padar and is now collaborating with Latvian pop singer and X factor host Markus Riva.